Better small and independent, than large and controlled by outsiders. Speaking of development, the Dutch label has undergone a significant evolution as of late. Susanne and Etienne recently decided to move their office from the town of Utrecht to Amsterdam. Why? For once, the two opened an official SUZY GLAM Flagship Store in their nation’s capital as the perfect platform for showcasing their collection to urban audiences. Plus, they always wanted a larger workshop for their creative exploits, which is now provided by the open space in the back of the store, fully visible to customers. By combining retail and product development in a transparent setting, the new set-up not only lets customers experience the entire product range but also makes them see the process from design sketch to finished product with their own eyes. But there’s more: The store also serves as a full-fledged gallery space. Next to the entire SUZY GLAM collection, it will rotate guest collections from other brands at regular intervals. “The labels we choose for our store always have an aura of cool and originality.” And whether it’s brands such as TARIAN, 8000, or GENTLE MONSTER, they also offer strong contrasts to SUZY GLAM’s brand DNA. From a sales perspective, this extra reach also brings in some new customers. 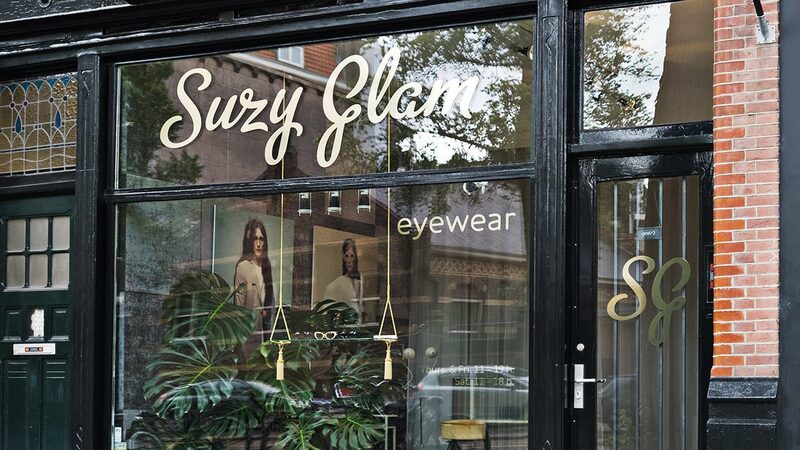 “It really makes our showroom more interesting.” At the same time, Susanne and Etienne placed great emphasis on the store’s design and vibe as the perfect symbol for the world of SUZY GLAM. Keeping things moving, the two founders constantly expand their core collection with new styles. As a result, the current collection is already double the size of the brand’s initial offering. 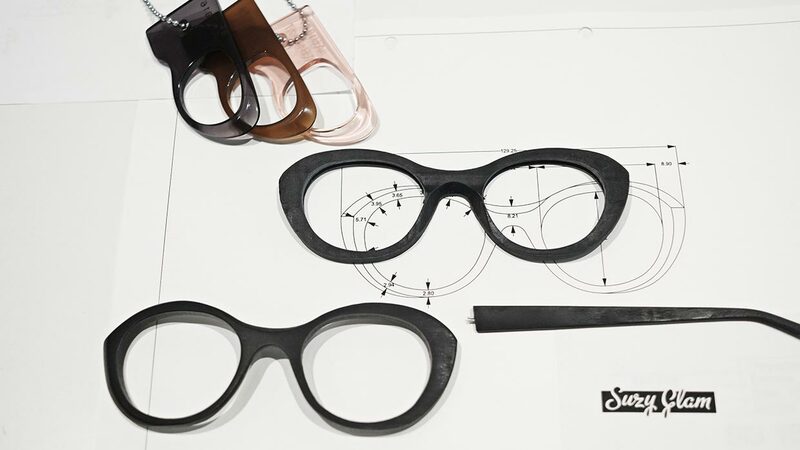 For this season’s special twist, SUZY GLAM is drawing on “pebble shaped frames”. 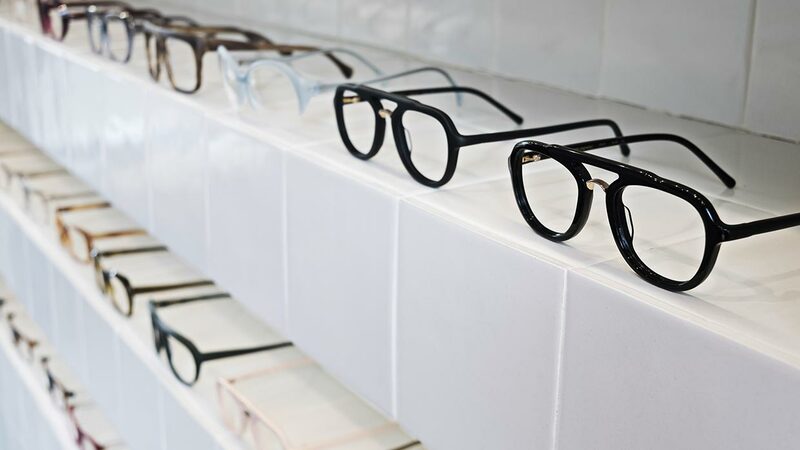 The new frames are reminiscent of softly polished stone pebbles, while the soft colorways are also inspired by nature; including Forest, Moss, Sea & Thunder. As SUZY GLAM moves forward, their mixture between proven sellers and new, highly visual styles is guaranteed to keep things interesting – as a vist in the new Amsterdam flagship store will attest.